“I’m through talking,” Charles Gates Dawes (1865-1951) once told reporters upon returning home from his stint as Budget Director in the Harding administration in 1922. Many times throughout his career Dawes said he wished to “be silent in private life, having ‘talked plenty’ in office,”  only to reemerge on the public stage in an ever more prominent role. Indeed, the Evanston-based Dawes, who made his fortune in real estate, banking, and utilities, had a taste for political life and all the quick and clever talking it often required. 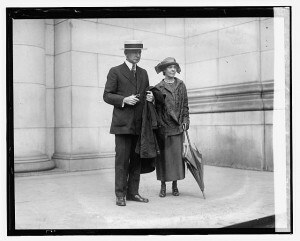 During his heyday, Dawes was known as a man who never failed to “perform” in his public role, whether cursing out a congressional committee or chasing reporters from his office. (He was particularly annoyed at having his picture taken unsolicited, and he was a master of public relations when it came to managing his image and his own career). A wealthy and prominent man, Dawes was president of the Central Trust Company of Illinois, a bank he founded in 1902. He had made his first foray into national politics when he served from 1898 to 1901 as U. S. Comptroller of the Treasury under the administration of his close friend and mentor, President William McKinley, for whom he had campaigned in Illinois. 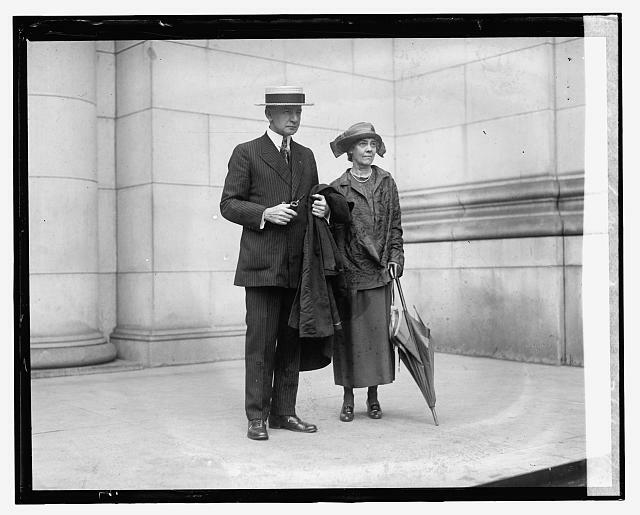 Later, Dawes would serve as U.S. Vice President under Calvin Coolidge, and as U.S. 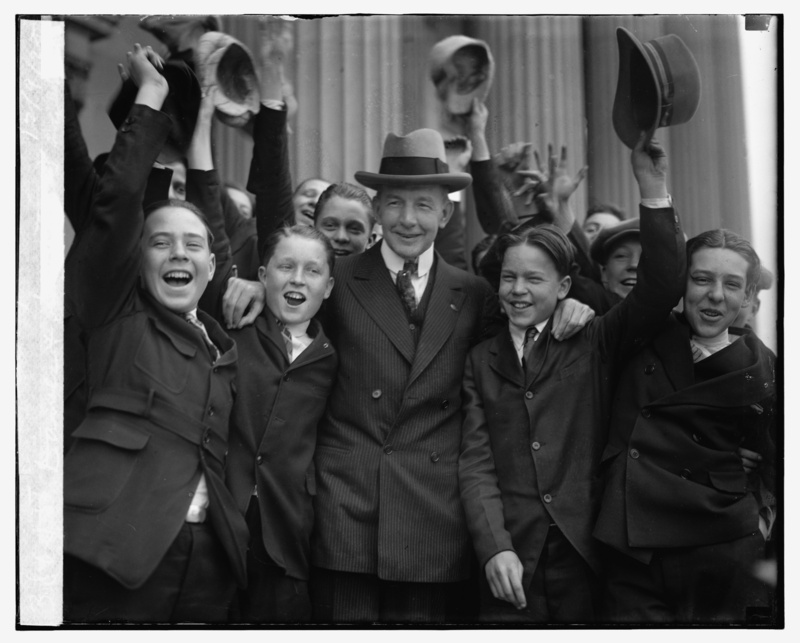 Ambassador to the U.K. During World War I, he served alongside General John Pershing in France, and, after the war, he headed up what was known as the Dawes Committee, whose work would earn Dawes a Nobel Peace Prize. In 2011, Chicago’s WBEZ profiled Dawes and his Evanston lakefront mansion, (now the home of the Evanston History Center; the home having been donated by Dawes himself), and reporter John R. Schmidt called Dawes a “forgotten man.” And indeed, the man who once graced the cover of Time Magazine, whose caricature, with its signature upside down pipe, was splashed all over newspapers, and who famously presided over the U.S. Senate with drama that could have been straight out of Frank Capra’s classic, Mr. Smith Goes to Washington, “that man Dawes,” as he was once called, has been all but forgotten. 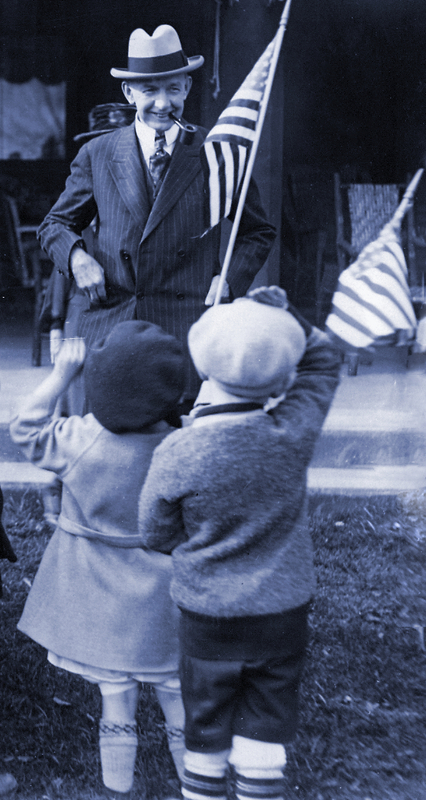 August 27, 2015 marks Dawes 150th birthday, and the Evanston History Center is launching a yearlong series of events, exhibits, publications, and projects designed to re-examine Dawes and his era. Exploring the historical context of Dawes’ roles as diplomat, general, financier, politician, philanthropist, and Evanstonian, the “Year of Dawes” offers a chance to examine a broad range of historical and cultural themes from a contemporary perspective. Dawes led a remarkable life that brought him into contact with world events. His life unfurled in both grand and tragic strokes from the latter part of the 19th century, in the shadow of the American Civil War (he was the son of famed Iron Brigade commander General Rufus Dawes), through the first half of the 20th century; he saw the “rise” of America, its entry on the international stage, and its development, financially and politically, as a federal and modern powerhouse. Dawes played no small role in many world events; he donned a top hat for his inauguration as U.S. Vice President; he skated with his children outside his 1896 mansion near Lake Michigan in Evanston; he lunched for less than a dime at Don Cameron’s lunch counter as a young lawyer living in Lincoln, Nebraska; he was called “Charley” by his closest friends; he made frequent use of his hallmark cuss words “damn” and “hell and Maria” (a phrase that became a nickname for Dawes); he opened hotels for destitute people; he donated his Nobel Peace Prize money to help establish the Walter Hines Page School of International Relations at Johns Hopkins University; he held a box (on Monday evenings) at the Chicago Opera, and he and his wife, Caro, hosted dinner guests at their home that included movie star Mary Pickford and photography pioneer George Eastman. 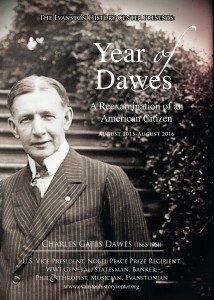 Dawes’ career, and its many intersections with significant world-shifting events, individuals, and themes of American life, deserves to be un-earthed and his name to be re-instated in the American story so that today we may better understand something of a world that appears ever further in the historical distance. In a sense, Dawes’ biography serves as a prelude to George Packer’s brilliant narrative of American decline, The Unwinding: An Inner History of the New America (2013). In Dawes’ life we see what came before that “unwinding”; and in his life, we find a record of more than an individual American who served his country. We find an account of how America’s modern identity took shape in the early decades of a century that has already vanished. Click here to learn more about the Year of Dawes events! “Dawes is Through Talking,” New York Times, July 8, 1922. The phrase “hell and Maria” has its origins in the American Civil War. In December 1864, the steamer, the Maria, loaded with Union Army troops and supplies, was blown up near St. Louis, resulting in numerous casualties. Thereafter, the phrase “hell and Maria” was used as an expletive. H. L. Mencken’s Supplement One of his 1919 The American Language (New York: Alfred A. Knopf, 1945) includes a reference both to the expletive and to its use as a nickname for Charles G. Dawes, 308, 662.